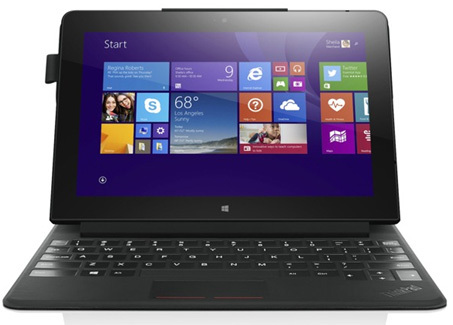 The Lenovo Thinkpad 8 got a lot of praises when it was first launched. If you happened to see a review on the device you will see the reason behind it. What lacked in the previous one was the size of the screen and hence to fill up the demand, Lenovo has announced the new Thinkpad 10, made specifically for business centric people. 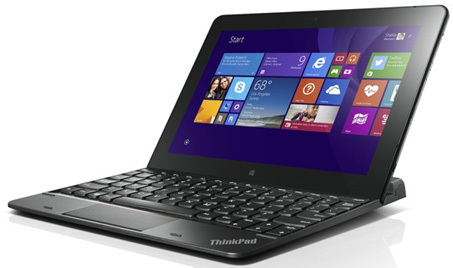 While we have stated that this is the bigger version of Thinkpad 8, it is actually the successor of last years Thinkpad Tablet 2. And with this release, Lenovo finally fixed some serious flaws which were in the Tablet 2 edition. The first and the most noticeable of all was the display. The new Thinkpad 10 has a 1920×1200 resolution IPS display to provide the best viewing angle and a bright screen while maintaining a good 10 hour battery backup. It also supports a Wacom digitizer which was absent on the Thinkpad 8. The new Thinkpad 10 has some decent hardware inside as well. In case you are wondering, the device packs the new Intel Atom (Bay Trail) Z3795 Quad Core processor with the new hyper-threading technolog and for Graphics it is armed with the new Intel HD (Ivy Bridge) edition. The device will come in either 2GB or 4GB RAM and with 64GB/128GB storage to choose from. Additionally, there will be a microSD card expansion slot as well as MicroUSB 2.0 port to have more storage options available. For connectivity the device supports Wi-fi a/b/g/n; Bluetooth 4 and Optional 3G/4G services to go for. The device also has a 2MP front camera and 8MP rear camera with LED Flash both capable of shooting in 1080p. The whole device weighs only 598 gram and the device will run on either 64 bit Windows 8.1 or Windows 8.1 Pro which is one important feature. But what really sets apart the Thinkpad 10 from the rest of the tablets out there are the accessories available for it. There are around 5 kinds of accessories available for it from Ultrabook keyboard to tablet dock ranging from $59 to $129. One is even similar to the smart cover which is mainly made for the Surface 2 series. The Lenovo QuickShot case as well as a rugged case for rough use is also present. There is a stylus available which costs only $50. The tablet will carry a price tag of $599 which is less compared to the previous Tablet 2 which was $670. The device will be available from June in the US while the global release is yet to be announced. Lenovo thinkpad 10 ki bd te paoa jabe….???? ?